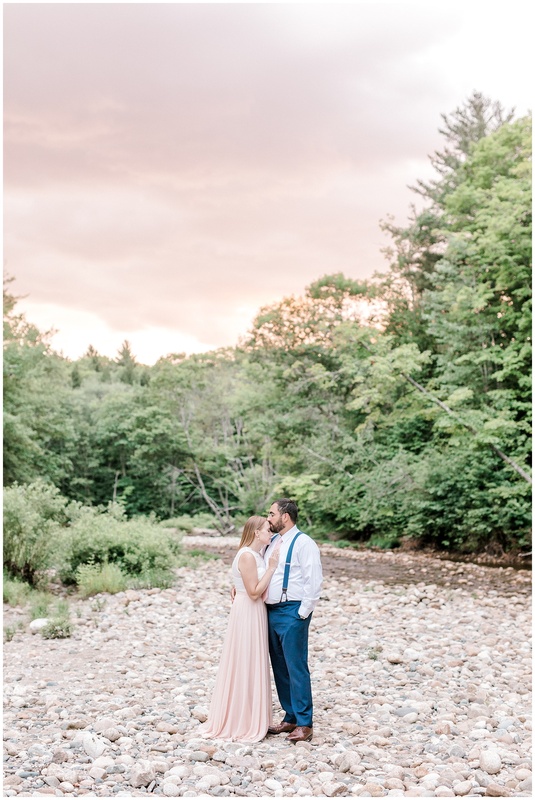 When Kristina contacted me to tell me she wanted to do a one year anniversary session in the SAME location as her wedding took place, I was over the moon! 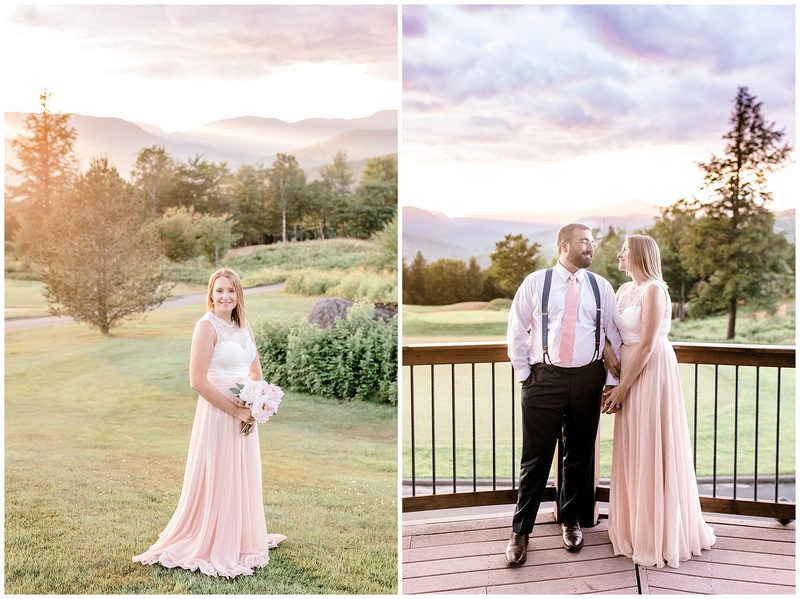 The reason wasn’t just because I loved photographing these two, but because these were the sunny picturesque pictures we envisioned taking on their wedding day, but never got the chance! 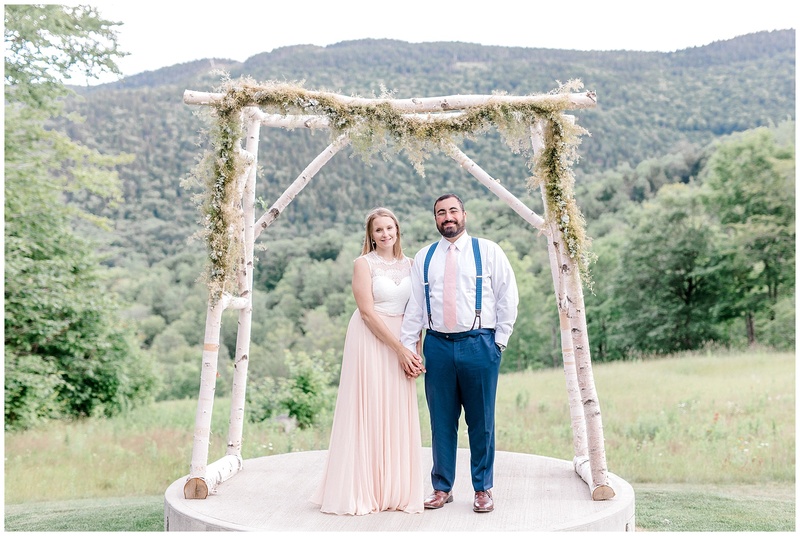 Chris and Kristina were married in September of 2017 at the Jordan Hotel in Sunday River! 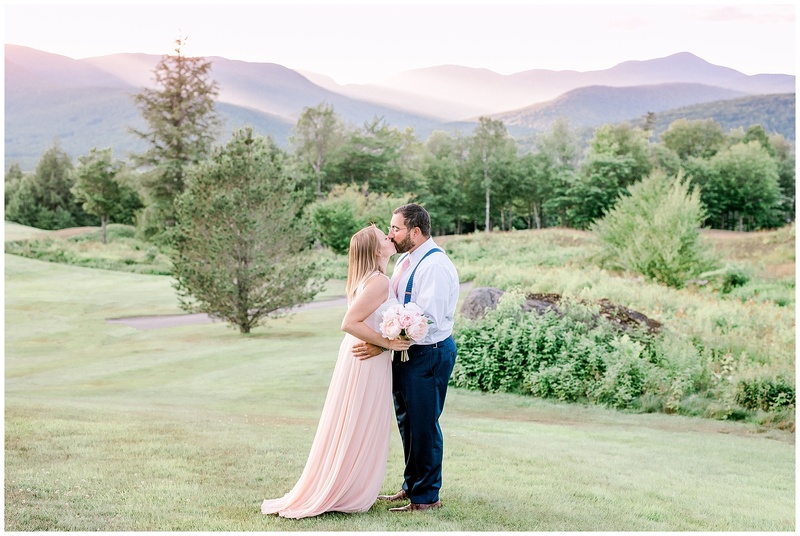 You can see their pink and navy blue wedding HERE. 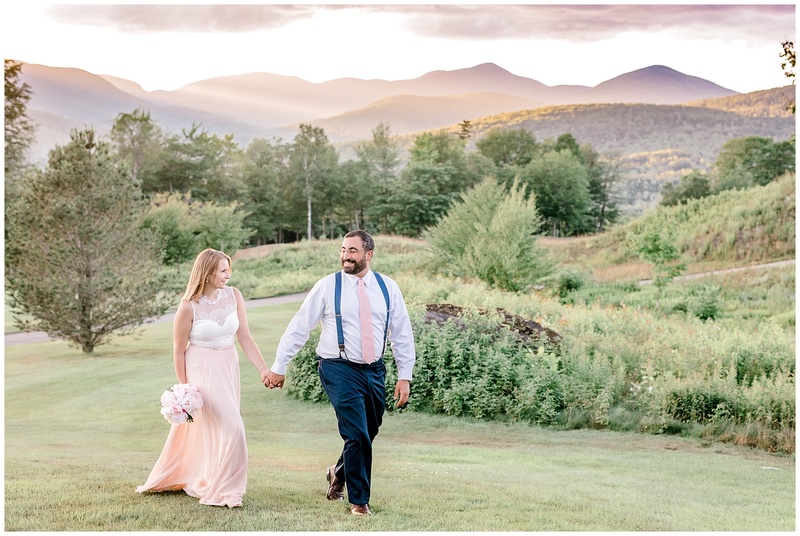 There were so many beautiful elements of that day, but one thing that put a bit of a damper on the wedding was the rain! Because of the material of Kristina’s dress, and how hard it was down pouring the entire day, we weren’t able to take any pictures outdoors, except under the awning of the hotel. 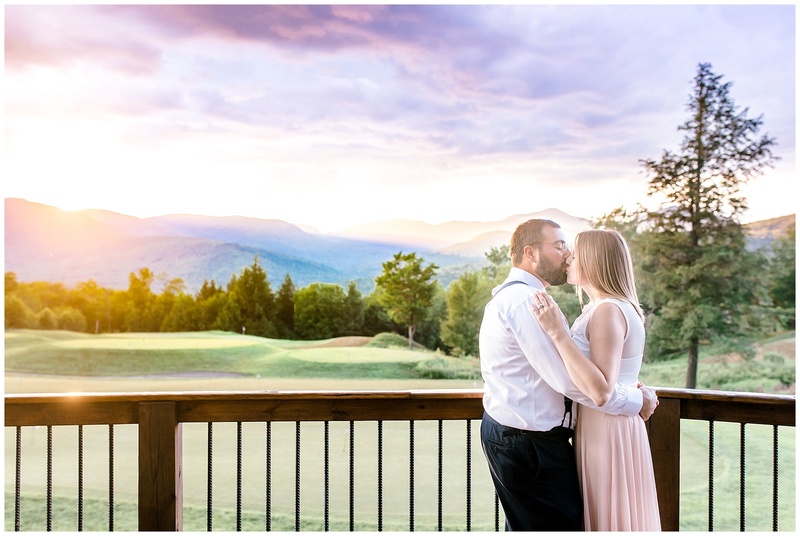 What was so sad about that was the incredible location Chris and Kristina had chosen for their wedding! 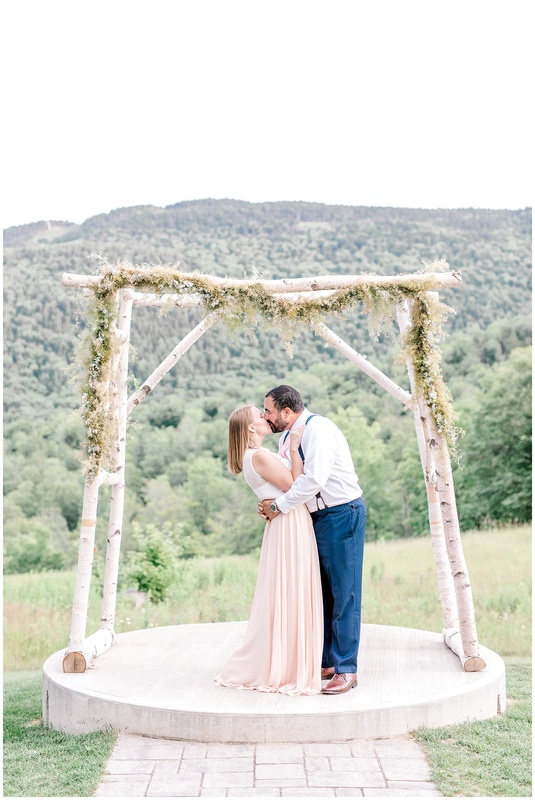 Living in Pennsylvania, they chose the mountains of Maine to get married in, strongly based in how beautiful the landscape is! 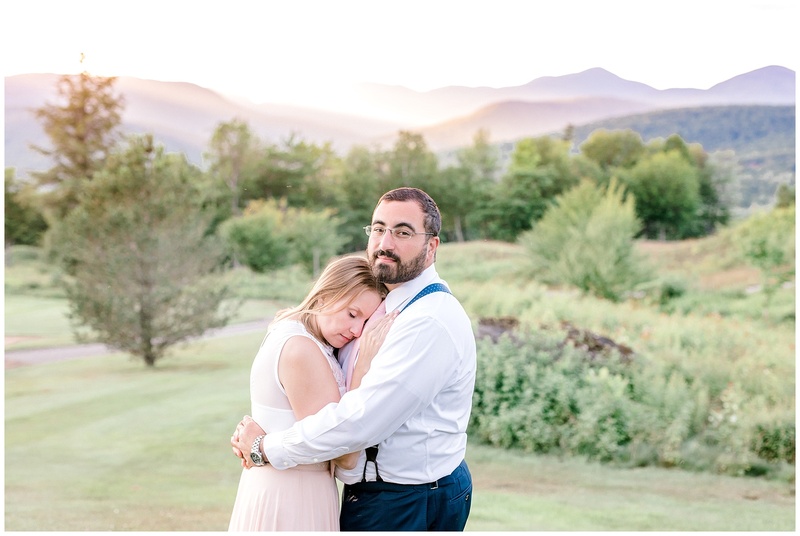 So that’s why I was so thrilled to photograph them at Sunday River 1 year after their wedding! Chris and Kristina were up in Maine on vacation, and I drove up to the Jordan Hotel to meet them one evening. I was getting nervous on the way over there, as some clouds had started rolling in and darkening the sky, and occasional raindrops were splattering on my windshield. In addition, when I arrived, I found out that Kristina really wasn’t feeling well at all. 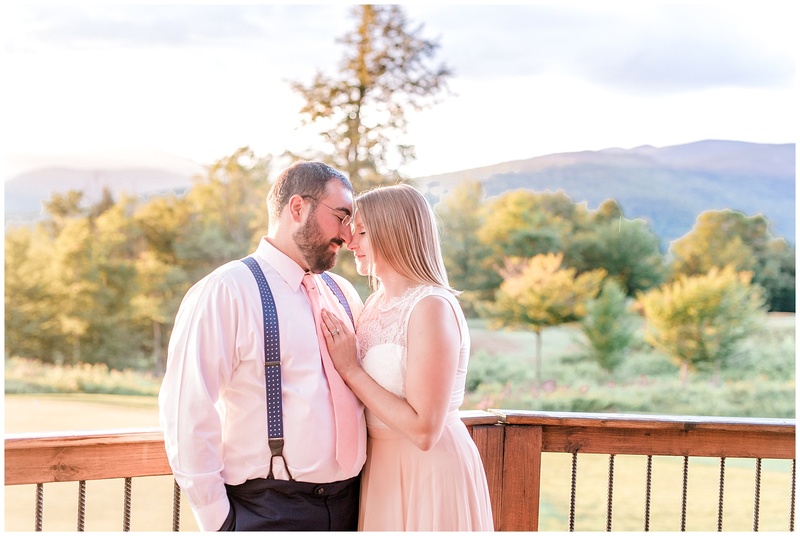 Due to both of our schedules, this session couldn’t easily be rescheduled, so we decided to push forward and get the pictures we had all dreamed of! I absolutely LOVE this couple’s clothing choices! 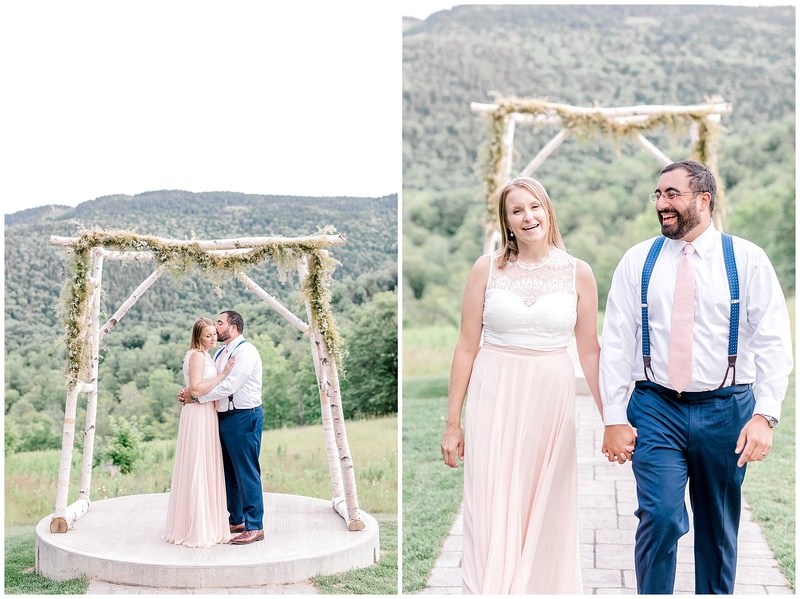 I adore that they mimicked their wedding colors, and also that they dressed up so nicely for their anniversary session. 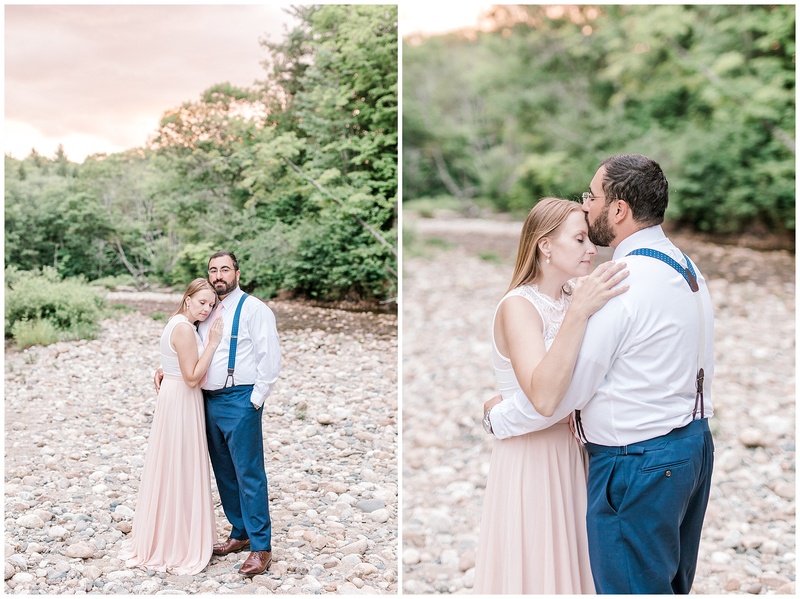 I’m slightly obsessed with their outfits, and between that and the incredible lighting we ended up with, this may be my favorite couple’s session to date! 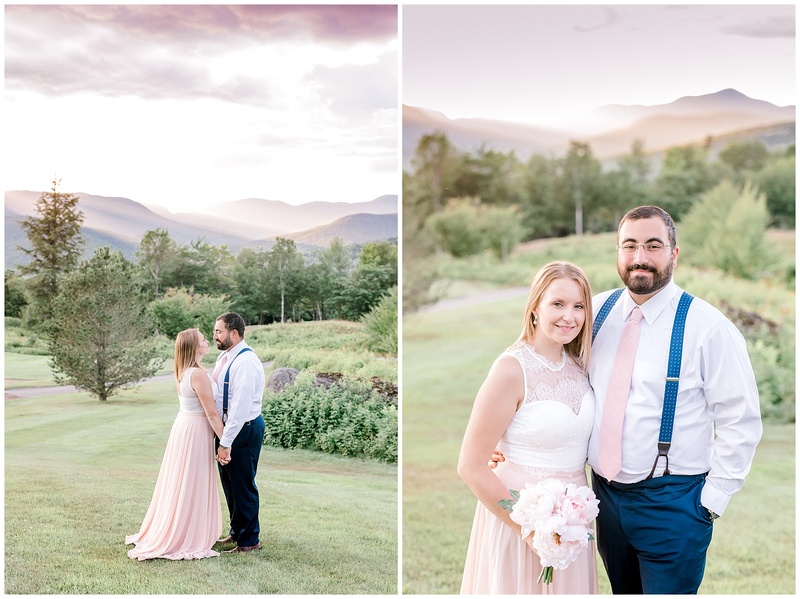 Because of the incoming storm, we ended up with the most STUNNING lighting with a mountain backdrop that I’m not sure could ever be replicated! 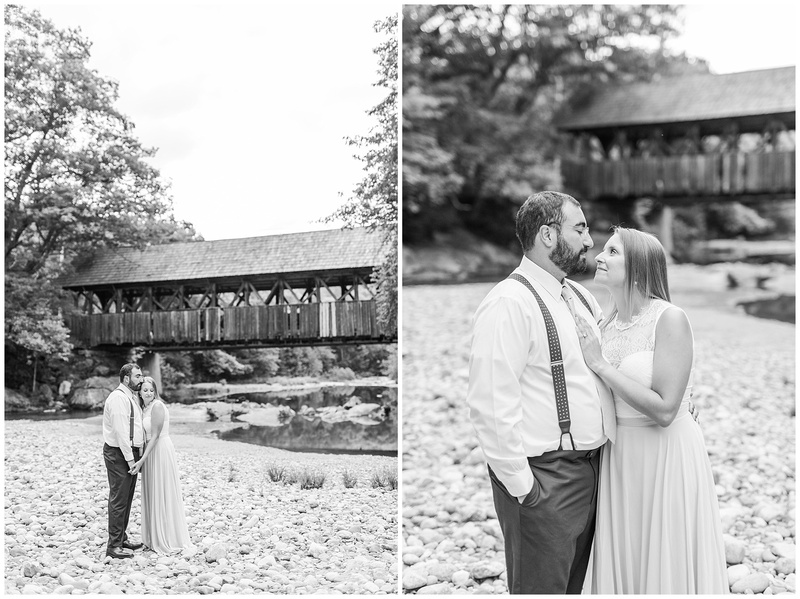 It started really raining as we finished up the session, and I knew I couldn’t WAIT to get home and get these images on my computer! 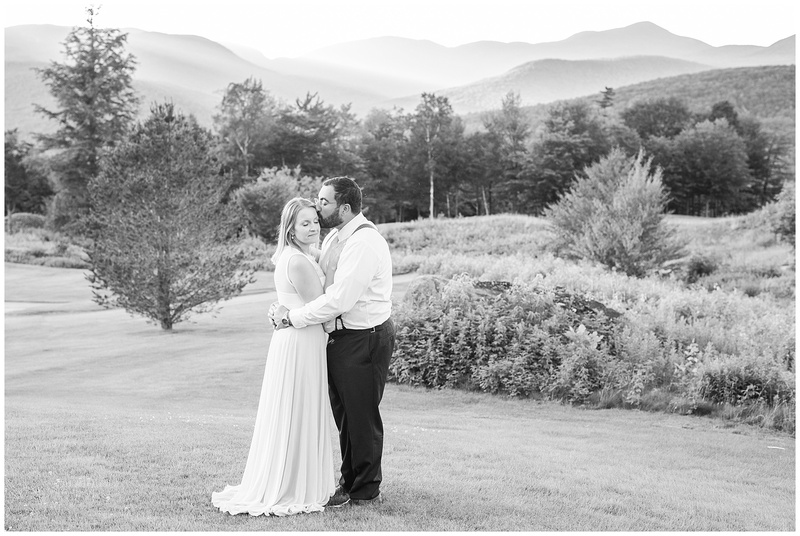 Thank you, Chris and Kristina, for trusting me once again to capture beautiful memories for you! I can’t wait to photograph you again! 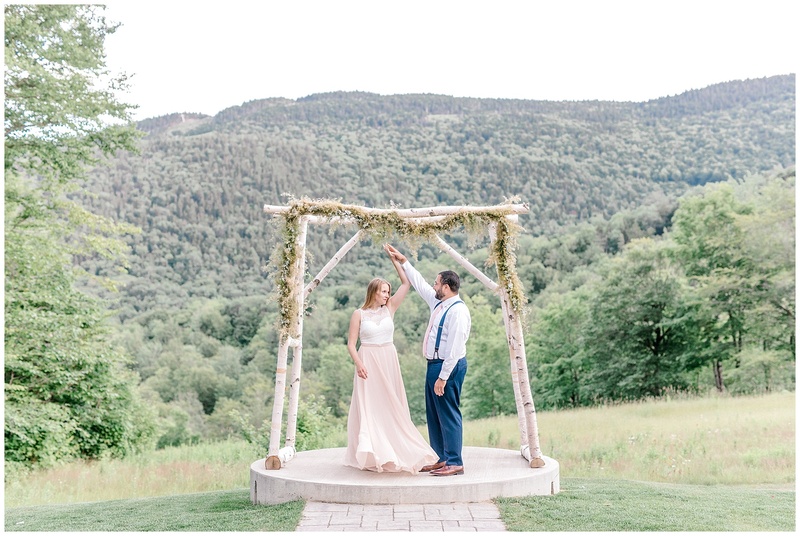 Can we take a second to appreciate not only the gorgeous outfits, but that Kristina brought a pink BOUQUET with her?! 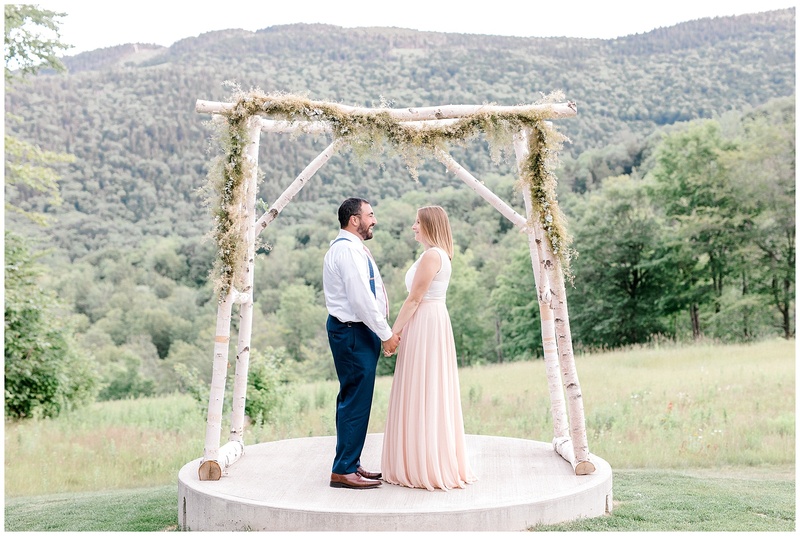 What a beautiful touch to these photos below! 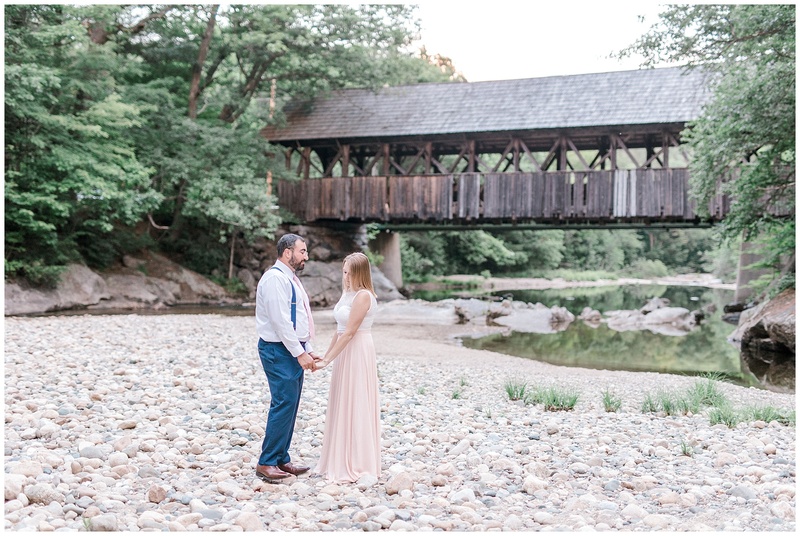 The iconic covered bridge in Sunday River – I LOVE these white pebbles!